Sustainable eating is making the best possible food choices for our health, our community (including farm workers) and the environment. It supports the interdependent web of life of which we are a part. Sustainable agriculture uses farming techniques and practices that conserve and protect natural resources and minimally impact the environment. It produces healthy food without compromising future food production. Sustainable practices build strong communities, diverse ecosystems, and healthy individuals. Check out farmers markets and local farms in your area. Shopping for local grown food is a healthy and fun way to support your community. Locally grown produce is fresher and more nutritious. The closer to the vine, the healthier. Also, fresher food means less waste because it lasts longer. Supporting local growers keeps your dollars in the community, supports the families producing your food and fosters a healthy environment of diversity. Plus, getting to know the people producing your food is like getting to know a neighbor. Through this relationship we can know exactly how the food we eat is produced. Think bulk foods, more minimally processed foods and more plant-based meals. Doing so translates into less packaging and waste, less energy used to produce certain foods, fewer artificial ingredients (those not found in nature) and fewer chemicals in the food system. Think organic. Organic fruits and vegetables protect you and the environment from many harmful pesticides. 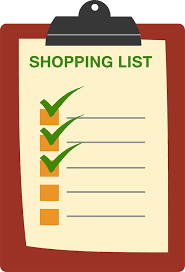 The Environmental Working Group (EWG) is an excellent guide for buying organics on a budget. EWG annually tests pesticide residue levels on produce and publishes the Dirty Dozen, fruits and vegetables with the highest chemical residue, and the Clean 15, the safest non-organic produce to buy. What we buy affects the direction of our food system – what grocers, restaurateurs and food companies produce and sell. Ask your food providers to support local farmers, local producers, and sustainable agriculture. Then show support through your buying decisions. Blueberries don't grow in Florida during July, yet you can still buy "fresh" at any time. This means your berries are coming from far, far away. When possible, buy foods that are in season and grown where you live, and you will support sustainability. Liquids are some of the heaviest items to ship around the country and lots of fossil fuel is needed to tote them. 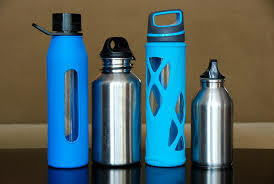 Instead of purchasing bottled beverages, use a refillable bottle and fill it with water from the tap or filter. Grow herbs in a pot, tomatoes on the patio or a small plot in your yard. It will give you a greater appreciation of the farmers who grow our food – the multitude of factors involved to make plants thrive, the attention needed to successfully grow food and how precarious the process can be. Use those insights to influence how you buy, use and dispose of food. Talk with the farmers at your market, personnel at your grocery store and restaurateurs, or the growing number of people who are paying attention to how foods get to their plates. You can discover new tips, learn about new resources and find more local, sustainably-minded food producers and providers. Composting goes hand and hand with eating sustainably. The food waste from sustainable eating is a valuable resource for agriculture, reduces the need for synthetic fertilizers and improves soil's water retention. Soil improvement for lawns and gardens - It is the best form of nutrients you can use to feed your lawn and garden, and it helps the soil retain water. Recycles Kitchen and Yard Waste - Composting can divert as much as 30% of household waste away from the garbage can. That’s important because it keeps valuable organic matter out of our landfills. Reduces Landfill Waste - Compostable materials in our landfills contributes to global warming and climate change. About 95% of food waste ends up in landfills, and 1/3 of our landfills is waste from these compostable materials. Because these materials do not get the required air to break down quickly, it creates extremely harmful methane gas that is released from landfills into the environment. Sunshine Community Compost is a Florida-based non-profit that focuses on creating compost and recovering resources in ways that build community, local capacity and give back to the planet. There are neighborhood park programs, schools and campus programs and training and education events. Visit https://www.sunshinecommunitycompost.org/ to learn more. Click here to connect to the EPA Guide and learn how to save money and support our local community by reducing your food waste. -- Food waste costs the average family between $1,300 and $2,300 per year. Two years ago, our second Sunday Potlucks began encouraging vegetarian, vegan and other meatless dishes. When we reduce meat from our diet, it is good for the environment. Meat production produces more greenhouse gas emissions (methane) than the transportation industry (CO2). Meatless meals also save water, reduce land pollution and reduce rainforest destruction caused by meat production. If you are Interested in having lunch with our church community, making some new friends and perhaps try a meatless meal, Visit Sunday Potluck.